I wanted to respond to some Rhodia fan comments/requests on two issues: Rhodia dot spiral notebooks and the darker lines on Rhodia grids. In 2012 we introduced spiral dot pads in the No. 13, No. 16 and No. 18 sizes, but discontinued importing the pads by spring. The reason: we discovered the dots were larger than expected and the wrong color. The large purple dots in the spiral pads were supposed to be small grey dots. This was ultimately due to a human error in manufacturing. Clairefontaine and Rhodia share paper (Clairefontaine paper) but have separate manufacturing facilities. Spiral pads are usually produced at the Clairefontaine facility, since they have the expertise in this particular production process. For this batch production was done at the Rhodia facility, where they made a mistake and printed them in violet. They also used the wrong dye in printing the dot grid. The mistake has been corrected, and when the stocks of purple dot spirals are gone we will resume importing them to the U.S. There is no ETA yet, but I hope it is later this year. The violet ink is darker on Rhodia’s grids. 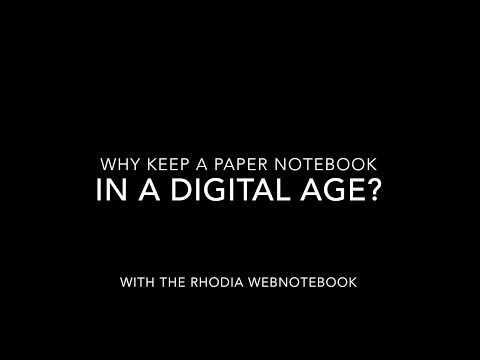 This has presented a practical and aesthetic problem to a number of Rhodia users. We have been badgering Rhodia to see if this change is permanent, or, will Rhodia go back to the softer, faint-colored violet grids we printed in the past. The answer from Rhodia’s product development, management and engineers: we heard you and we’re trying to get back to the old violet color. Some background: as per environmental policies, the ink used in Rhodia pads is 100% natural. In terms of the intensity of color, this means while the ink color is the same when printing, the “new ink” is not as sensitive to UV rays as the “old ink” was. The chemical additives in the old ink helped it to lighten within a short period of time. The sources Rhodia uses for dyes are experimenting with different mixtures to try to reach as close as possible the standard violet they had until 2010. Since the beginning of 2011 the formula is slightly more blue because the company who made a base component of the violet closed. In both intensity and hue, natural inks also tend to show more variation from one production to another. They are more sensitive to machine speed, direction of paper fibers and other variables. Each run of notepads requires its own fine tuning. Restoring the notepads to faint violet grid is a company priority. While I do not have an ETA on this change, when we last discussed the issue with our corporate parent a few weeks ago, they were confident a solution will be found soon. Exaclair will continue to press on the importance and necessity of making the grid color change. We have conveyed your unhappiness and frustration to Rhodia. They heard you, and they are working on the problem. Any news and updates will be posted on Rhodia Drive and Rhodia Drive Facebook. I just opened up a bunch of #10 grid pads that I bought a while ago and was startled to see the much darker (and distracting) lines. I hope they fix this soon! Ah, so that explains it. I prefer the lighter dots too. Just wanted to say that the option of dot grids is really one of the things that make Rhodia products stand a part from others, and one of the main things that make me love Rhodia products. Dana – could you please contact karen@exaclair.com with your comment/request? Oddly enough I purchased some of the darker grid pads but because I use them for charting knitting patterns I was actually very happy with them.They were perfect for this purpose. I do prefer to use the lighter grids when designing furiture and jotting down design ideas. Are the darker grid pads still available or have all of them been sent back as I would like to stock up on some if they will no longer be available.